Imagine your life turned upside down after being forced to flee your homeland due to war. 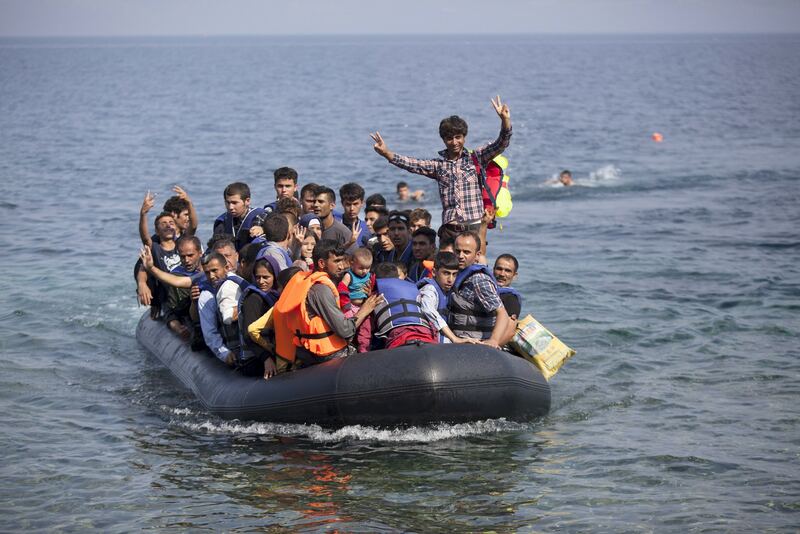 Imagine praying to God for safety while riding in an overloaded rubber raft across the choppy Mediterranean Sea. Imagine landing in a refugee camp on the Greek Island of Lesbos with thousands of other people fleeing persecution and death. Imagine days and months passing by – and with them, the promise of a better future – as the world seemingly turns its back on you. Then imagine rumours of a special guest, a religious leader, who is coming to visit and pray with you. The one they call Pope Francis. Finally, imagine your disbelief, exhilaration and many other emotions upon learning that you’ve been invited by the pope to leave this island to begin a new life. For three Syrian families living at the Moria refugee camp, this unimaginable dream came true on 16 April. Tears of joy were plentiful when they learned that the pope and his delegation had arranged for their transport to Italy. It was like a script from a Hollywood movie. Two days after the papal flight departed Lesbos for Rome, details began to surface about the humanitarian gesture and the three families in the spotlight. Identified only by their first names, the three couples – Hasan and Nour, Ramy and Suhila, Osama and Wafa – and their six children spent months in Greece after fleeing Syria, where they saw their homes destroyed. “We saw friends and relatives die in the rubble. We fled Syria because we no longer had hope,” Hasan, an engineer from Damascus, told the Vatican newspaper La Stampa. Hasan and Nour arrived in Italy with their 2-year-old son Riad. The couples say they want nothing more than to raise their children in peace and perhaps return to their homeland one day. While the symbolic gesture is just a drop in the bucket, it provided a much-needed spark in the political discussion about refugees. Since the start of 2015, more than 1.1 million people, mostly from Syria, Afghanistan and Iraq, have crossed the ocean from Turkey to Greece. Since January, 150,000 have made the journey and 366 people have died, according to the International Organisation for Migration. Last March, an agreement between Turkey and the European Union began an asylum process that returns thousands of refugees to Turkey. More borders are being closed to immigrants and, unlike the three families in Rome, the flicker of hope is fading. The gesture also helped to put a human face on the plight of refugees. It introduced us to three Muslim families who had their worlds turned upside down due to no fault of their own. On numerous occasions, Pope Francis has called for greater cooperation among nations to resolve the refugee crisis. Last year he appealed to every parish and religious community in Europe to take in one refugee family. Finally, he led by example and opened the doors of the Vatican to refugees. On the plane ride back to Rome, Pope Francis was asked by reporters if the gesture was in vain. He responded that Blessed Mother Teresa also faced the same criticism in India. In this Year of Mercy, Pope Francis continues to give us examples of mercy personified. Imagine if the world would follow suit. This column was first published by The Compass.